The Huntington Study Group is pleased to announce a new staff member and new members of the leadership team. Anne Van Dusen, CHC, is HSG’s new Director of Education & Special Programs, Sarah Noonberg, MD, PhD, replaces Mike Poole, MD, on the executive committee, and Christopher Beck, PhD, replaces David Oakes, PhD, as HSG’s Director of Biostatistics/executive committee member. Anne joined the HSG team in June of 2017 as the Director of Education & Special Programs. Anne is part of the Executive team and will develop and implement both educational and program plans that will sustain and help HSG to maintain its standing as a proven world leader in facilitating high quality clinical research trials and studies in Huntington Disease (HD). Anne holds a BS from the University of Binghamton School of Management and is certified in healthcare compliance by the Compliance Certification Board. 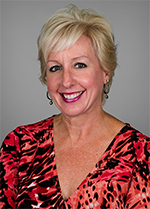 Prior to joining HSG, Anne held several leadership roles in compliance, quality and finance, most recently at CCSI of Rochester, ACM Medical Laboratory and Lifetime Care Home Care and Hospice. Anne is passionate about trail running and is very active in the local running community. 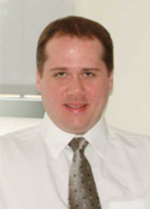 Chris is an Associate Professor of Biostatistics and Orthopaedics at the University of Rochester Medical Center. As a member of several national and international collaborative groups conducting research in areas including Huntington disease, Parkinson disease, Batten disease, bone repair, rheumatoid arthritis, and cardiomyopathy, Chris has extensive experience and a great deal of expertise in the biostatistical aspects of basic and clinical research. He joined HSG in 2005 while serving as a biostatistican for the TREND-HD study, and he has continued in that role for a total of eight HSG studies. Chris is honored to become only the second Director of Biostatistics in the history of HSG. 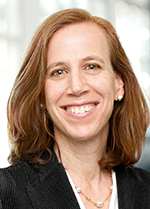 Sarah is currently the Chief Medical Officer at Prothena, a biotechnology company focused on the discovery, development, and commercialization of novel immunotherapies for diseases involving protein misfolding. Prior to joining Prothena, she served as Group Vice President and Head of Global Clinical Development at BioMarin Pharmaceuticals Inc., where she was responsible for clinical development programs using gene therapies, oligonucleotides, and recombinant proteins to address a diverse range of neurodegenerative, neuromuscular, metabolic, and hematologic diseases. Earlier in her career she led clinical studies in Huntington disease in partnership with the Huntington Study Group, as well as clinical studies in Parkinson’s disease, Alzheimer’s disease, prostate cancer, and cystic fibrosis. Sarah earned her MD at the University of California, San Francisco, her PhD in Bioengineering at the University of California, Berkeley, and her BS at Dartmouth College. She is a board-certified internist and works part-time as a hospitalist physician treating a broad range of inpatient and critical care patients.